We are often asked about college scholarships for students with learning or attention issues, and find it frustrating when we have to answer that such scholarships are rare indeed. So, with the deadline approaching for one such program, and several others coming up, we thought it would be a good time to take a look at this topic. The Anne Ford Scholarship and Allegra Ford Thomas Scholarship both have an application deadline of December 31, 2012. These scholarships were established by Anne Ford, former Chairman of the Board of the National Center for Learning Disabilities and her daughter, Allegra, whose challenges with learning and related issues were chronicled in the book Laughing Allegra. The Anne Ford scholarship is an annual $2,500 award for each of four years for a student with a documented learning disability who will be pursuing a full-time bachelor's degree. The Allegra Ford Thomas scholarship provides a one-time $2,500 award for a student who will be enrolled in a two-year community college, a vocational or technical training program, or a specialized program for students with learning disabilities. Shire, a pharmaceutical company that manufactures medications for ADHD, will offer a $2,000 scholarship and a year of coaching to fifty students who will be attending a college, university, technical school, or vocational school. Applications are due by March 27, 2013. Learning Ally (formerly Recording for the Blind and Dyslexic) offers the Marion Huber Learning Through Listening (LTL) awards, which provide six scholarships for students with specific learning disabilities. Applicants must be a member of Learning Ally. The awards for the three top winners are $6,000 each and three special honors winners receive $2,000 each. The deadline for the next awards is March 15, 2013. 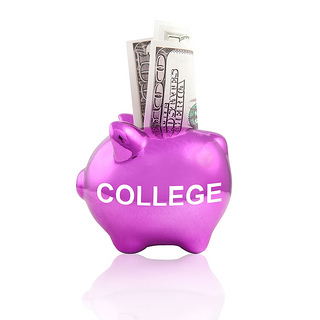 A helpful resource for scholarships and other financial aspects of college is available on the website of the College Board. Students and parents should also become familiar with FAFSA, the Free Application for Federal Student Aid.